PAGE HUNGERPILLER grew up in the shade of mighty live oaks.After her marriage, she and her husband raised their family among the trees along White Bluff Road. When those trees were threatened by a road-widening project, Hungerpiller and her neighbors became activists. “Our husbands called us the Monday Morning Mothers of the Earth,” she says. “The lovely two-lane road I’d been on since I was a toddler was going to be changed. 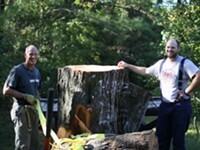 It just was something we thought we should attack.”The group was successful in saving the trees. From that early bit of activism, the Savannah Tree Foundation was born. Even more trees have been saved in the past 25 years.“We got wind of the fact that the property with the Candler Oak had been bought by an Atlanta developer,” Hungerpiller says. 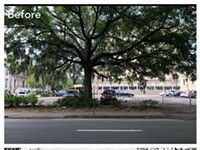 “The first thing he said was to get rid of the tree, it was in the way of everything.“That galvanized us,” she says. Houston says. “She’s going to be talking about the social implication of trees.”Nowhere is the importance of trees more evident than in Savannah. “One of the most amazing things about Savannah is the wonderful trees,” Houston says. “I’ve always been interested in gardening, and trees are one of my particular loves.”Five years ago, Houston attended the STF’s 20th anniversary celebration. “It was held under the Candler Oak,” she says. “I live a few blocks away and decided to go to it.”Houston has been involved ever since. She says one of the things the board wants to do is develop a curriculum about the Bacon Park Forest to be presented in local schools.“We try to stay on top with what’s happening and be there if a tree is about to be destroyed,” Houston says. “That usually happens when neighbors call. Sometimes we can step in and give a hand.”The STF recently took on a new role as contractors in planting trees and shrubs at the Mother Matilda Beasley Park. Contaminated soil had to be removed there, and people in the neighborhood were upset about losing the trees.“Nobody bid on the project, so it languished for three years,” Houston says. “It was something new for us, but it’s worked out very well.“We also have done a tree planting on Tybee and planted trees on FEMA property. 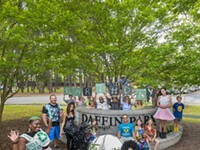 Our goal is to plant 200 trees every year from the fall through the spring.”Wolf has appeared at STF events in the past, and is looking forward to returning to Savannah. Trees do have a major impact on humans, she says.“There are important benefits to having vegetation all around us – in yards, at work, in schools,” Wolf says. “One investigator found that desk workers who had windows and vegetation outside were more satisfied and missed work less.”Children with attention disorders respond better when they participate in outdoor activities. “Trees are very good for us, often in ways we don’t even recognize,” Wolf says. 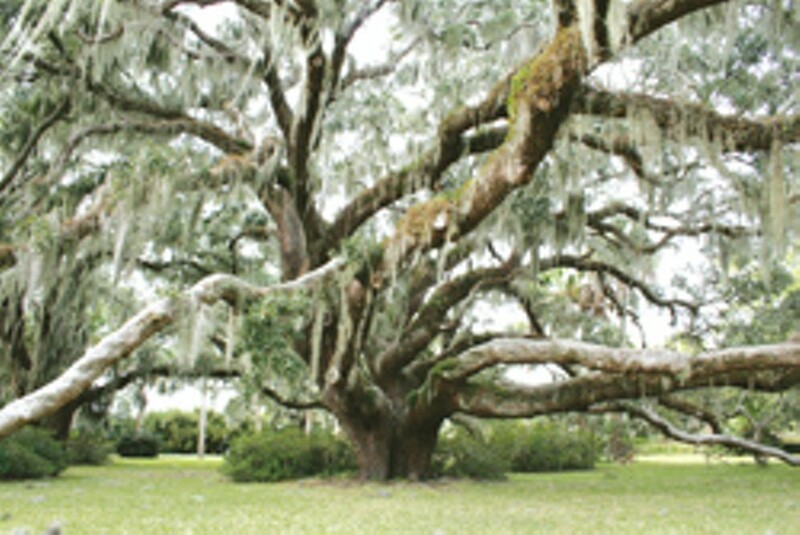 The Savannah Tree Foundation will celebrate its 25th anniversary Feb. 19-20. Dr. Kathleen Wolf will present a lecture Trees: Growing Stronger and Healthier Communities, Tuesday, Feb. 19 at 7 p.m. at the Coastal Georgia Center, 305 Fahm St.
A reception will follow. The event is free and open to the public.On Wednesday, Feb. 20 at 8:30 a.m., Wolf will present a breakfast workshop, Trees and Urban Streets: Research on Public Perceptions and Transportation Safety in the Arthur A. Mendonsa Hearing Room, Metropolitan Planning Commission, 110 E. State St. This event also is free, but pre-registration is required. Call 233-8733, e-mail savstf@aol.com or visit www.savannahtreefoundation.com.